Choo Choo Puzzles is another new unique point and click flash puzzle game from notdoppler. 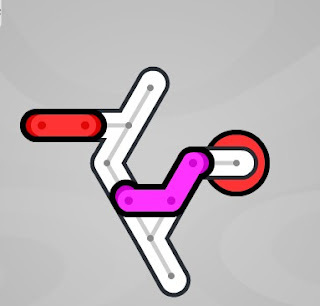 In this game, you drag lines around the track with the goal of getting the red line to the exit. Solve each level with as few moves as possible to get higher score and gold medal. CCP is quite entertaining and fun to play with easy gameplay and fairly challenging levels. Meanwhile, if you are stuck at some point of the game, get hints, tips and answers in this Choo Choo Puzzles walkthrough showing how to beat all of its 24 levels.